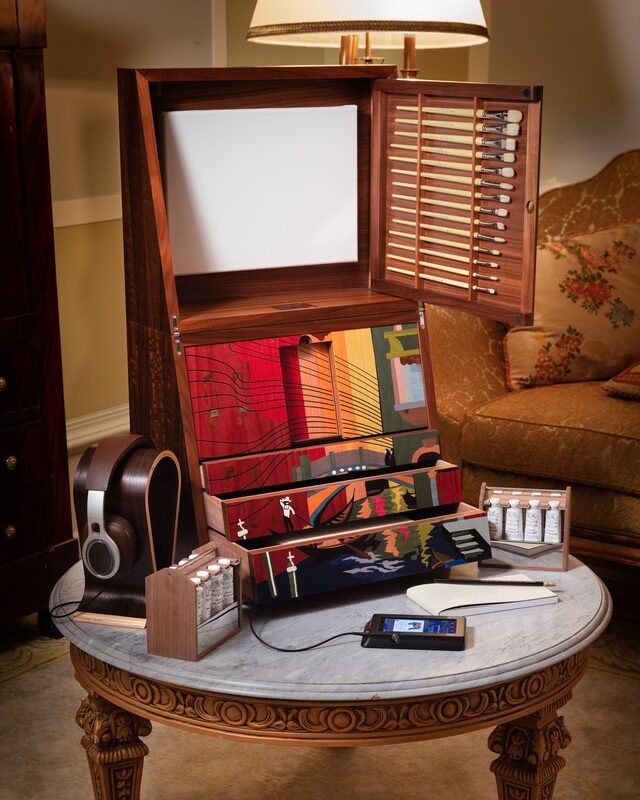 Universal Music Group, the world’s leader in music-based entertainment, recently launched ‘Life in Art’, a luxury music player and display case as a tribute to the iconic opera singer Luciano Pavarotti. Combining entertainment with fine furniture, Life in Art celebrates Italian style, opera and Pavarotti’s love of painting in oil. Working with the furniture maker David Linley, each case is handcrafted and includes prints of Pavarotti’s paintings (never to be reissued).